AIT President Prof. Worsak Kanok-Nukulchai has called for the creation of a new platform of universities in the Belt and Road Initiative (BRI) to prepare a new breed of intellectuals, who can emerge as globally responsible citizens for the sustainable future of mankind. 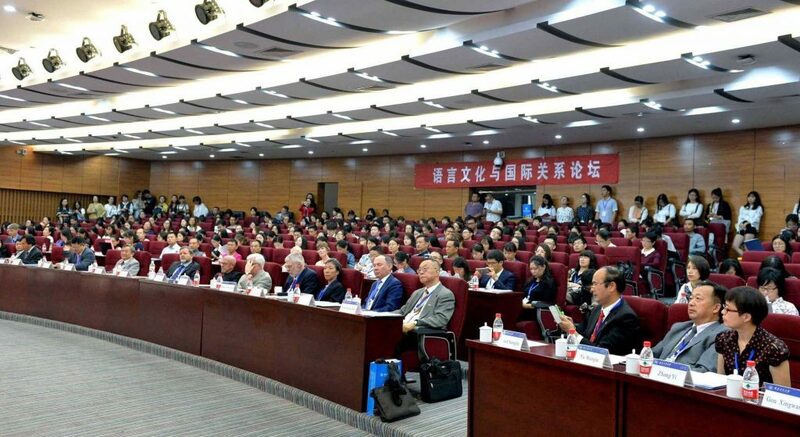 The forum was organized by Xidian University, and it was attended by Presidents of 105 Chinese universities and 77 universities from 41 other countries and territories. 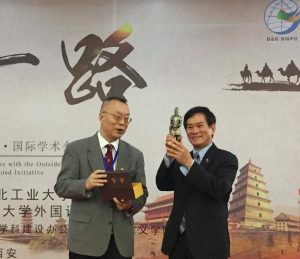 The event concluded with the proclamation of the “Xi’an Declaration for Innovation and Entrepreneurship Education,” with reference to BRI. The AIT President also delivered the concluding speech at the international conference on “China’s ties with the Outside World through the Belt and Road Initiative,” which was organized by the Northwestern Polytechnical University (NPU) on 23-24 September 2017. Earlier, during his visit to AIT in early September, the Chairman of Board of Trustees of NPU, Dr. Zhang Wei had invited Prof. Worsak to deliver the concluding speech at the event. Prof. Worsak Kanok-Nukulchai delivering his keynote address. Prof. Worsak stressed that in the spirit of "mutual trust", BRI could provide a golden opportunity for BRI scholars to bridge the cultural divide, and help solve global issues such as climate change for the sustainable future of mankind. The first stop of the AIT delegation to China was Xi’an Jiaotong University (XJTU), where the University President Prof. Wang Shuguo hoped that both AIT and Xi’an Jiaotong University can mutually benefit under the Belt and Road Initiative. Prof. Wang also mentioned that HRH Princess Maha Chakri Sirindhorn, an AIT alumna, had recently visited XJTU. XJTU is a Chinese C9 League university. The AIT delegation, which was led by Prof. Worsak also included Voratas Kachitvichyanukul, Dean, School of Engineering and Technology (SET), Mr. Shawn Kelly, Director, Office of External Relations, Ms. Wannapa Pliansri, Consultant, Office of President, and Mr. Qi Xinjian, Manager, International Forum on Education for Rural Transformation (IFERT).